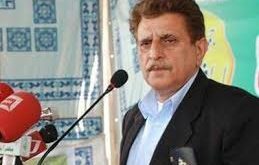 NEELUM: (Parliament Times) The medical officer Basic Health Unit Dudniyal Dr. Shaukat says that cause of most sicknesses in Neelum Valley area is use of broiler chicken, substandard salt, substandard diet, lack of exercises and walk. In an interview here on Monday Shaukat added that BHU Dudniyal was also providing health facilities to the people of Sharda, Khawaja Sairi, Changan and Dwarian. He said Dudniyal was located at Line of Control where Indian forces keep resorting to unprovoked shelling from across the border, therefore availability of emergency medicines and landline phone was imperative there. “BHU Dudniyal was providing medical facilities to population around 15000 apart from patients from Sharda, Dwarian and Changan who visit it from time to time for medical treatment. Sicknesses like blood pressure, Asthma, Fever, Influenza, Stomach problems, Lack of Iron, Cough, Throat sore, and Kidney problems are treated to the satisfaction of the patients” he said. He said we have also arrangements for delivery. He however, said that heart and surgery patients are referred to major hospitals. Dr. Shaukat said people don’t use Iodine Salt which results into common throat problems in the area. Dudniyal has a good climate where people generally remain healthy if they take good diets. But people don’t take good care of their diet and have different kind of problems. He said we have an ambulance in the BHU which is used in case a patient is referred to other hospital in emergency. He said we make sure that dubious medicines are not kept in the medical stores in the area. He was of the view that serving in a hard place is a real challenge and most of the doctors avoid from it. He said hard area allowance to officials of health department should be given to as an incentive of serving in the hard places. FATA elections: who, when and how?